Vinyl LP pressing including bonus CD edition. 2013 album from the Nigerian Afro-Funk artist who grew up in England. 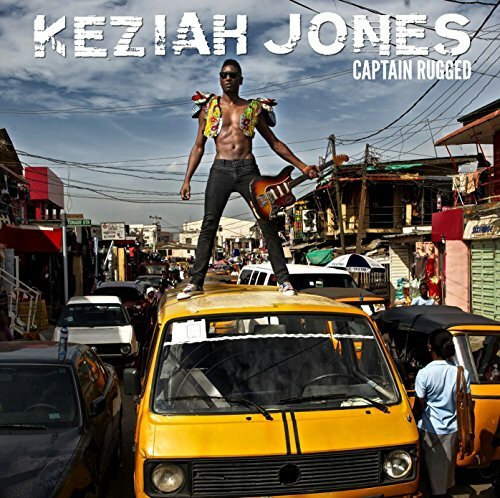 Five years after Nigerian Wood, Keziah Jones is back with a personal and political project, wearing the outfit of an Afro superhero, Captain Rugged, his quirky and socially committed double. Nigerian, Afropolitan, universal, Captain Rugged tells us about modern Africa and its urban movements. He was born among the ghettos and skyscrapers of bustling Lagos, flying around in his ankara cape and shaking the city with his angry beats.